We have been seeing some new discount programs for Veterans. The good news for us Nike Vet's is the programs are open to "all vet's" you don't have to be a retired vet. So below is some information on these programs if you know of other programs email to webmaster@a-2-562.org we will check them out and add to our listings. Allegiant Air as of May 25, 2017 has started a program called Allegiant Honors. it includes several perks, Free Baggage, Free Seat Assignment, and Free printing of boarding pass just to name a few. Lowes Home Improvements has had a discount program for years for active and retired military. It amounts to a 10% discount on your purchases. That program has been expanded to include all veterans. 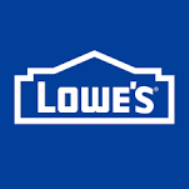 You may want to use the following link at Lowes it will ask for your information and your separation date. They use a 3rd party verification service and will issue you a "My Lowes" card this is not a credit card but will work for the discount. PX - BX Post exchanges now are open to all veterans. Here is a link that will get you started.